I took a course entitled Race, Identity and Ethnicity when I was an undergraduate students of sociology and social anthropology at Addis Ababa University in 2005/1997; the time of controversial Ethiopian national election. Dr. Gemechu Megersa taught me this course and put me in love with it. Recently my love for that course get ignited listening to his new interview on “Identity, Knowledge and the Colonizing Structure” aired on Oromia TV. It is not that common to discuss identity issues in Ethiopia, probably for the large part of the history of that country is based on ethnic and/or linguistic conflicts and massacres. Dr. Gemechu`s examples for the course usually came from Kenya (mentioning Kikuyu and Jomo Kenyatta frequently) and we once asked him why he choose to take examples from Kenya, while we are having ethnic groups in the country that we can understand better. His answer was short; “people get annoyed and their eye turns red when ethnicity and identity issues are raised in Ethiopia”. However, golden opportunities were aired recently and I believe my current experience with Awuramba turned it to diamond opportunity for me to resume in to identity discussions (implicitly thou). 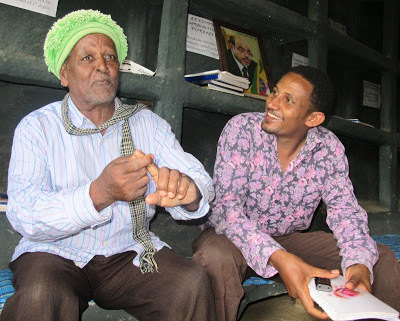 On the 7th of August, one day before my departure for Awuramba, I was listening to an interview that Jawar Mohammed, the founder of “Oromo first thinking” gave to Ethiotube? I would like to cite his statements “if this same idea (Oromo First belief) is raised by a Walayita (Walayita First), I am sure it receives much less attention than mine. The very nature that the idea belongs to the Oromo makes it the subject of wider political attention in the country”. This is very shocking for me; if the Oromo is not feeling Oromo and if they are not using Oromo as their identity peacefully then what does it serve? I know I was born and raised as an Oromo and I believe I am an Oromo first too; but I never realized that it generate such political complications and aggravations from people of different ethnic identity. I was also taught in my sociology and anthropology classes that ethnic identity is individual’s self-categorization with a given group and the psychological attachment towards it. This self-identification and attachment makes a great part of one’s overarching self-concept. Ethnic identity development is a process of construction over time and results from a combination of experience and actions of individuals. Our knowledge and understanding of the groups we belong to and how the groupings were made made the backbone of ethnic identity. 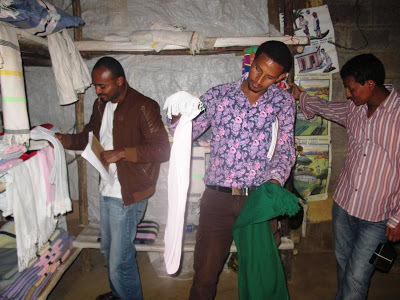 I was socialized in Oromo and it makes myself concept and all other Oromos, that is what we share as an Oromo. I believe the account of Zumra Nuru and Awuramba community teaches a lot about identity formation and I present itas follows. Having the “Oromo First vs Ethiopia First” debate on my mind, I went to Awuramba; the transgendered community in Ethiopia. I spent a day with Zumra and his wife Enan. I was excited when I meet them and my excitement activated my anthropological approach, which I guess I have benefited from for the first time. I chatted with them, debated, argued, visited and learned a lot. Zumra Nuru the founder of Awuramba community shared me lots of story. Zumra by the way is a very nice story teller. I greeted him and told him that I know him for long time in respectful way in Amharic (ለረጅም ጊዜ አዉቆታለዉ) he replied, “then you don’t know me”. If you know me for long; how come you used the respectful terms (አዉቆታለዉ). In Awuramba everybody is sister and brother and they don’t use respectful addressing. I agreed and start to use you in singular way (አንተ). He invited Us to the guest room and started the story. Zumra was born from Muslim farming family. He remember his mother told him that he started walking when he was 6 month old and he made informed conversation when he was 2. He developed his basic philosophical principles when he was 4; on anti-gender role principle (gender equality), child right, care for the elderly and needy and avoiding bad speeches and deeds. He started to approach people in order to get supporters for his philosophical principles but he was unfortunate; instead people start to consider him as ill and mad. His families used to tell him he is mad otherwise he can not think that deviated from other members. Then Zumra left his family and birth place to look for people who can accept his principles at 13 (also the time when he developed the last philosophical principle; every body is sisters and brothers). He lived in the forest for five years, surrounded by wild animals; without having anything to eat and drink. At the age of 18 he went back to his village and get married so that the community can consider him normal. He started his own farm and shared his produces with the elderly and needy people, where again his families ensure he is not cured. Working on his farm during the wet seasons, which he share with needy people in the community, Zumra continue to look for people who can support his philosophies during the dry season. It was in 1982/1974 that he met some people in Awuramba area who supported his philosophies. He presented all his five basic philosophical principles and they established the Awurmba (philosophical) community. There is no kinship relationship between these people and Zumra but they managed to establish that beautiful community. Their identity is based on his philosophies. Although I know some of these principles before I never taught of the chance to be a member of this philosophical identity. It is so happened that I am now the member of Awuramba community. 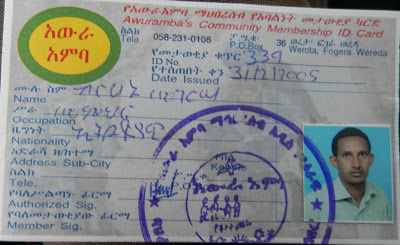 I received my membership ID (indicator of myself identification with the group) from Awuramba community on 9th of August 2013. It took me only half a day to accept their beautiful basic philosophies and make them my identity. I guess it was also enough time for them to judge and admit me to their community and philosophy. I am now the member of the community, I have identification card, my pictures is posted in the secretariat office and basic Awuramba philosophy is on my mind. I get a book called “the journey for peace” which teach about the history and basic philosophies of the community. I also have Awuramba made scarf on my neck. Every Awuramba community member have a clear idea and philosophy of life, they are also good to articulate it to others, whom they (we) consider brothers and sisters. In Awuramba every human being is sisters and brothers and they (we) don’t address them in respect. Every Awuramian believe in one creator (similar to Waaqeffannaa). 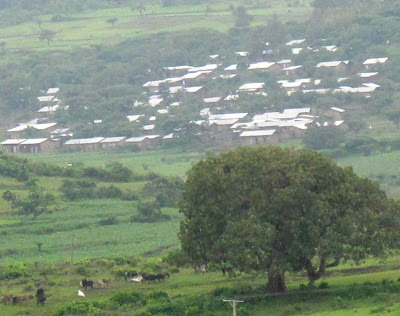 Awuramba is an industrial community, probably the only industry dependent community in rural Ethiopia. They value education and social protection very much. One of the five basic principle is child right. There is kindergarten in the community, again probably the only rural community with Kindergarten. It is also the only rural community (probably) with library and elderly protection institutions. Every facility in the library and kindergarten are locally made, from stone and mud. They have locally made bed rooms, to be rented out to guests (40 birr per night). There are stories, cafeterias, garment production halls, museums, elder living rooms, ICT center, chicken etc. There are lots of thesis work (Bachelor, Masters and few PhD) shelved in the guest room. The whole wall is covered with beautiful principles from Awuramba philosophy. There are also gifts from different organizations; big wall watch from Addis Ababa university, picture of the late primer from Gonder University and many other small gifts from regional governments. Zumra has also received an honorary doctorate degree from Jimma University in 2002, the picture of which is posted in the Museum. Anyway, I left the community very late physically, with my new identity and philosophy. I am now Awuramba second thinker and I would like to invite every other fellow brothers and sisters to join the philosophical community/identity. I believe it is a great opportunity at least to broaden our understanding/perception of identity formation and encourage respect for it! I am done, I am Amuramba Second!